Contents restoration is a very complex and painstaking process. Not long ago, contents restoration management was a much more complex and painstaking process. Restoration contractors had no efficient method to inventory property on-site. Damage documentation and property tagging had to be hand-written for each and every item. This error-prone process slowed down the contents processing time, delayed the property restoration, minimized the number of claims that could be processed by the restoration contractor, and negatively impacted customer satisfaction. 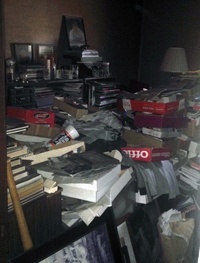 Due to the high number of property contents that have to be recovered and moved through the many levels of a restoration operation, handling the logistics of it all was a daunting task. Even the smallest of errors could have a profound impact on the restoration project. We took a thorough evaluation of the demands of contents restoration and the importance of the details within the steps required to produce happy adjusters and satisfied customers. And unlike most of our competitors, we determined that the status quo just wasn’t good enough to meet the high customer service standards of our company, and decided to invest in technology to make the contents restoration process faster and more efficient. That’s why today, Wolgast Restoration uses iCat contents management technology to identify, catalog, and track contents throughout the entire restoration process. 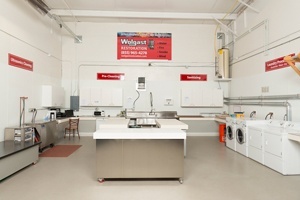 iCat technology for faster, more efficient contents restoration. iCat is a highly sophisticated bar coding, cataloging, and tracking system that reduces our content processing time by as much as 50%. By utilizing Cloud and Mobile Technologies, the iCat system allows us to handle high volume pack-out jobs faster than ever before, with greater accuracy. We can move, track, clean, estimate, report, and conduct any operational tasks instantly via a web browser or mobile device. This gives us complete inventory and management control, and total transparency of the status of the project. 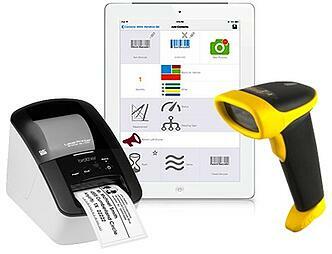 Each item is tagged with a bar code and scanned into the system. The integrated voice-to-text technology provides faster item description and damage notations. Digital photos are taken of each bar coded item, then immediately uploaded into the electronic file for that item. The system allows us to match each item with the room it was originally located in to ensue it is returned to the same room after the restoration has been completed. 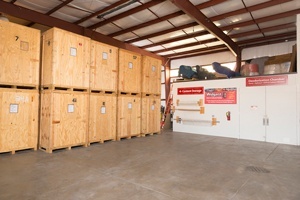 This saves time and eliminates frustration for the customer when unpacking the items. The items are safely packed into an appropriate size box. The box is then bar coded and given a description and room identification before it is loaded into the box truck to be transported to the contents processing location. Our Adjuster and insured customers can review and track the progress of a claim through the easy-to-use iCat interactive web portal that provides transparency, ensuring confidence and peace of mind. Enabling customers to view the progress of their claim not only answers any questions they might have, but also puts their mind at ease and makes life a lot easier for the adjuster. When the insured is able to see what’s happening to their valuable possessions, they will less likely need to bother the insurance adjuster with phone calls regarding the status of their property. This level of transparency and ease of access to their contents is a bonus for insureds. If a customer needs access to specific item during the restoration process, we are able to quickly look up the location of that item in the iCat system and provide the necessary access to the customer. 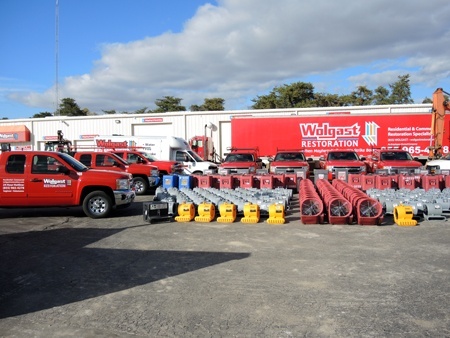 By using the iCat Contents Management System, Wolgast Restoration can ensure a connected and collaborative experience for all parties involved in the claims process. It raises confidence that each claim we process will go smoothly, and that we will deliver a quality, consistent product every time. That’s disaster response and recovery the Wolgast Way.